One more latest drone has come recently in the market. It is nothing but HR SH7 WiFi FPV With 1080 pixel HD Camera RC Drone Quadcopter RTF which would perform 18 minutes Flight Time Altitude Hold Mode. If you are planning to buy a latest Quadcopter or Drone for fun, photo or video from aerial view then this is one more option for you. Perhaps cheap and best drones available around. And, you can find herewith some of the features and specifications of the HR SH7 RC Drone Quadcopter. And its price as well. The flying device comes with 2.4GHz technology adopted for anti-interference. It has 4 Channel that can ascend, descend, forward, backward, left sideward fly, right sideward fly and rolling 360°. HR SH7 RC Drone also comes with 6-axis gyro that can have more stable flying and be easy to control. The device is powered by 1200mAh larger capacity battery that helps for a longer playing time. 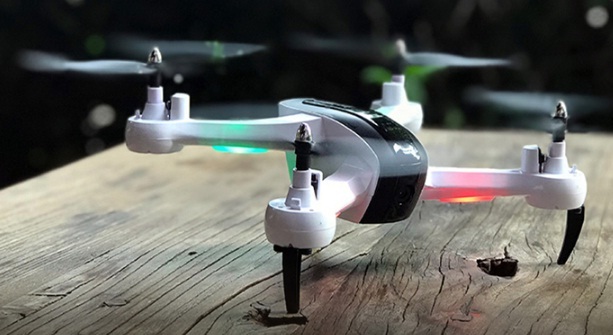 HR SH7 RC Drone has 1080 pixel high-definition camera that can shoot sky-view photos and videos perfectly like aerial film-style framing. Tips: If you want high-end features drone with affordable price then this one is enough. You may buy it online.